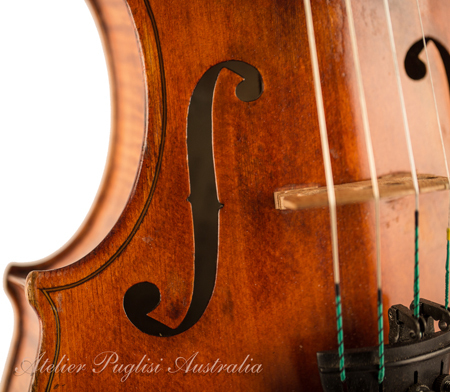 From the famous violin making family of “Puglisi” This instrument is a fine for example of their craftsmanship! 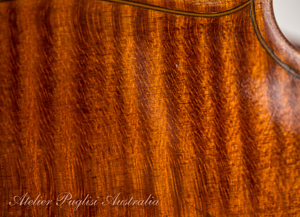 This instrument has been in the hands of one owner for the last 50 years and has only just been released for sale. 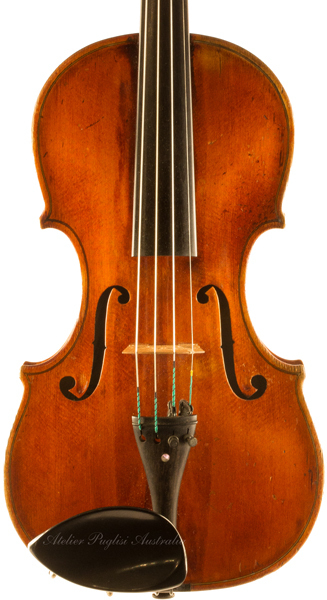 It is a Sicilian violin made in the 1920's by the firm G Puglisi Reale & Figli. 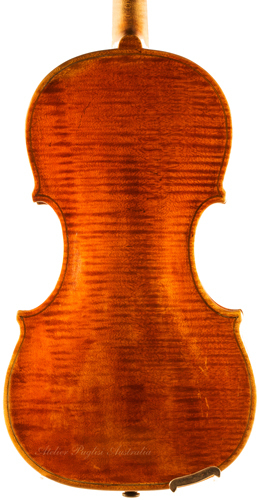 & subsequently taken over by his son Michelangelo, an active violin maker, who after his father's death became the director of the firm. 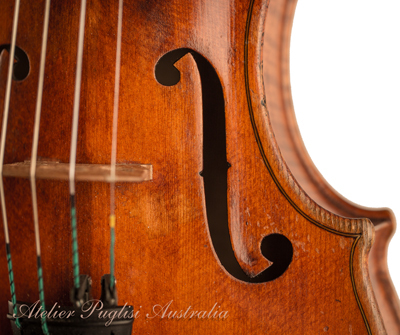 Prolific makers of violins, mandolins, guitars & cellos, they became one of the largest Italian factories for the manufacture of bowed and plucked instruments. 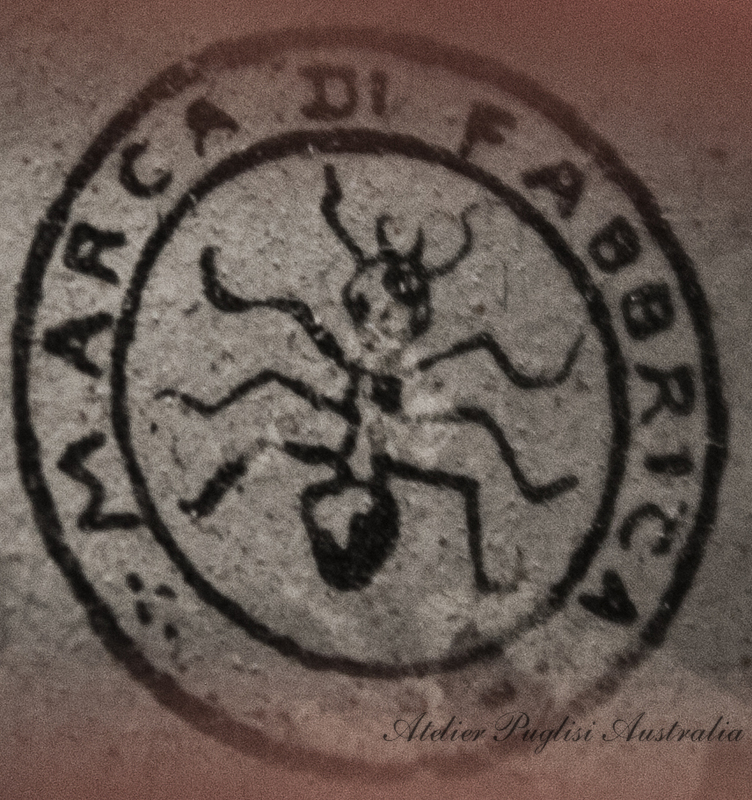 They are now found throughout the world, all containing the family emblem, Formica (the ant). 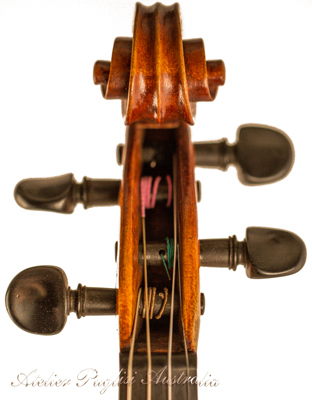 These instruments can be viewed in the context of the political and social economic times in which they were made. Fascism had recently taken hold, and poverty was a major issue during this decade. All of this made it more remarkable that a firm of this size flourished during these decades. The G Puglisi Reale & Figli workshop was destroyed in the bombardment of 1943, bringing to an end this firm's production. It is a bright sounding instrument, in excellent condition, with fantastic projection, and a very clear e string and even tone. Do not hesitate to contact us if you would like to be one of the first to try this unique opportunity. The sound will not disappoint!